Gill Leigh was raised in Central Africa, which is something that influences her subject matter. She worked as a Ministry of Defence photographer until having her two children, when she developed her interest in watercolour. 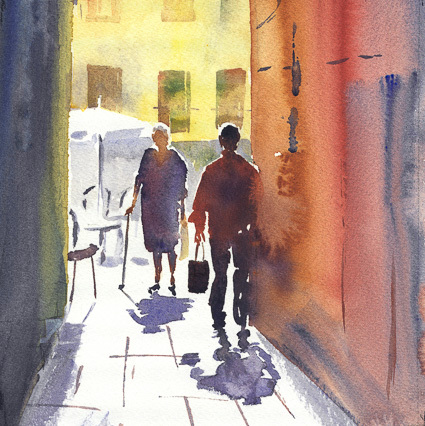 Gill teaches watercolour painting in Portishead and organises painting holidays for her students to Venice and Exmoor. Gill participates in the North Somerset Art Week and enters open exhibitions locally and in Bristol.